Jake's Review: (Mom's note: Jake hates books on the Titanic, he only read this one because Gordon Korman wrote it.) I really did not like this book because there was way too much talking and it was kinda scary with all the gangster guys.There was way too much detail and I was bored a lot. I think he should have just made 1 story and not three, it would have been much more exciting. A couple of pictures would have been nice too. I think the language is too difficult for someone my age. Mom will love it though, she likes anything to do with the Titanic. 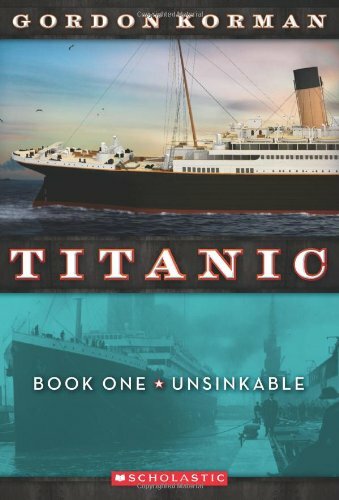 We received this book in exchange for an honest review, and you can really tell ya we gave you an honest opinion from Jake's Review -- Sorry Gordon, the boy does not like the Titanic! 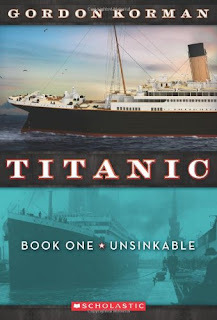 I love Gordon Korman and books on the Titanic. Will have to check this one out for my daughter. Thanks for the honest reviews!